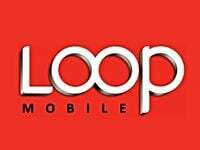 It’s raining offers from Loop Mobile on this festive season.Diwali is round the corner and Loop Mobile is up with an exclusive offer for their prepaid customers they have brought in a special pack dubbed as “Jalsa 2009”. With this special pack customers will be able to make Local and STD calls at a much cheaper rate. There’s more in the bag. This pack also reduces Local SMS and STD SMS charges. The pack comes in for Rs.203 and is valid for 5 long years with zero initial talk time the pack features local and STD calling at just 60p per min along with local SMS @ 30p/SMS and STD SMS @ 60p/SMS. And an additional benefit to this is that it gives 300 Local SMS absolutely free with one month validity only for new acquisitions through Jalsa paper voucher only. New customers: Buy a connection and get it activated at any Loop Mobile outlet and simply recharge it with a Jalsa voucher. Existing customers: Visit your nearest Loop Mobile Store or retail outlet and do an Etopup recharge of Rs 203. P.S. : After getting this offer you lose all your old benefits. Does anyone have a free promotion voucher? loop should come more states.to get more customer.